Riese & Muller Nevo GX Rohloff HS is designed for challenging routes through the city or unspoiled nature with speed. Just like the Bosch Performance Speed motor, the Rohloff E-14 electronic 14-speed hub gear with enormous gear range and Gates belt drive. High-quality Magura MT4 disc brakes and wide Schwalbe Rock Razor tires ensure increased safety at speeds up to 45 km/h (28 mph). The front carrier, fitted as standard, offers additional storage space for longer trips or tours. Its new design, its off-road qualities and the integrated battery bring a new, thrilling riding experience to the trail. Check out the gentle version Riese & Muller Nevo GX Rohloff. 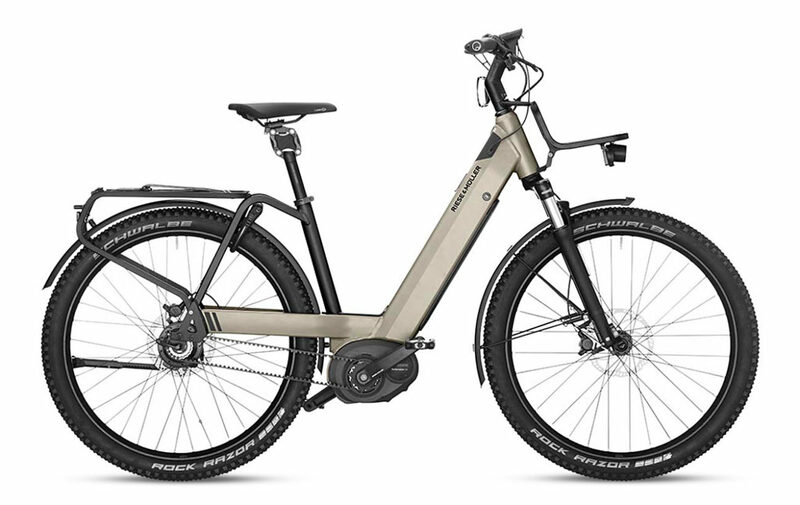 Motor: The Riese & Muller Nevo GX Rohloff HS comes with The Performance Speed drive the fastest Bosch E-Bike motor. 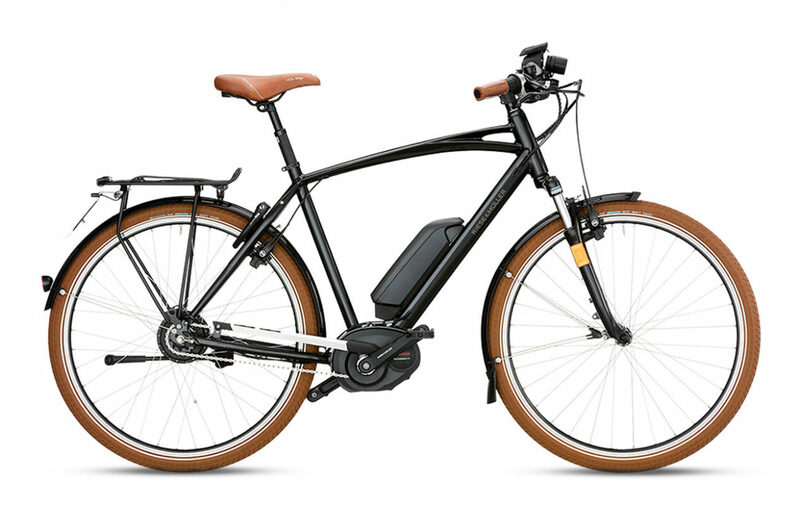 Sporty start-up characteristics, 350 watts of power and pedal assistance up to 275 % guarantee the ultimate riding pleasure with a maximum drive torque of up to 63 Nm with derailleur gear and up to 50 Nm with hub gear. Brakes: The Riese & Muller Nevo GX Rohloff HS is equipped with Magura MT4, disc brakes. They provide very reliable stopping power, these brakes are low-maintenance and easy to control. 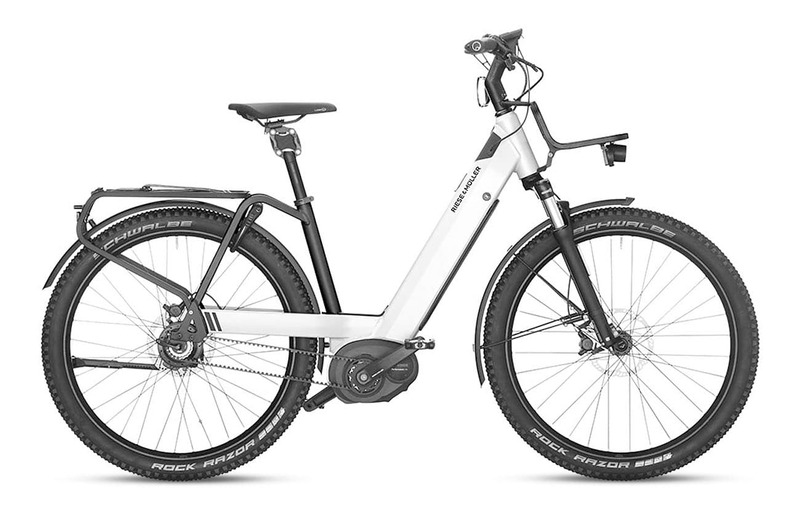 Top Speed: The Riese & Muller Nevo GX Rohloff HS can reach up to 45 km/h (28 mph). 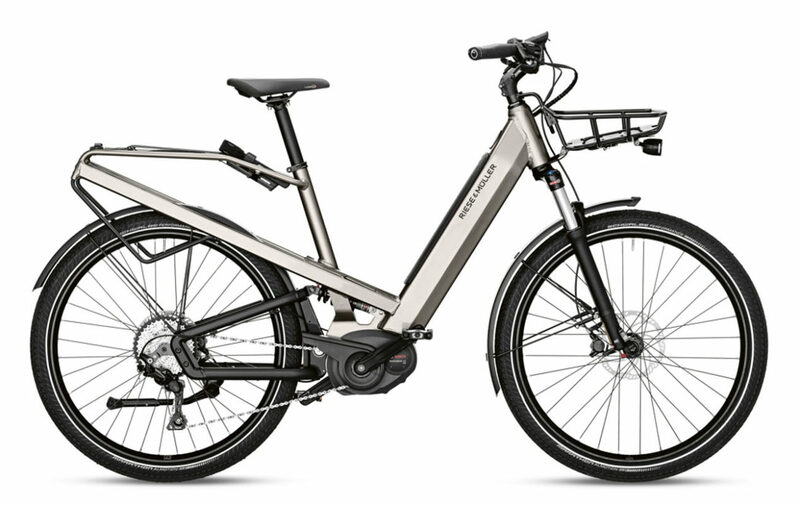 Visit our collection of fast electric bikes.